Lime chicken is one of my go-to recipes whether it’s tossing it on the grill, making it into a pasta dish, or making it for fajitas or chicken tacos. We try to marinate the chicken ahead of time so it is full of flavor when we are ready to cook but time (and memory) doesn’t always allow that. Sometimes it’s 6 pm and dinner needs to be on the table and I haven’t decided quite what I’m doing with the chicken for dinner. Does this happen to you too? When it happens in our house poached chicken is usually my quick answer. 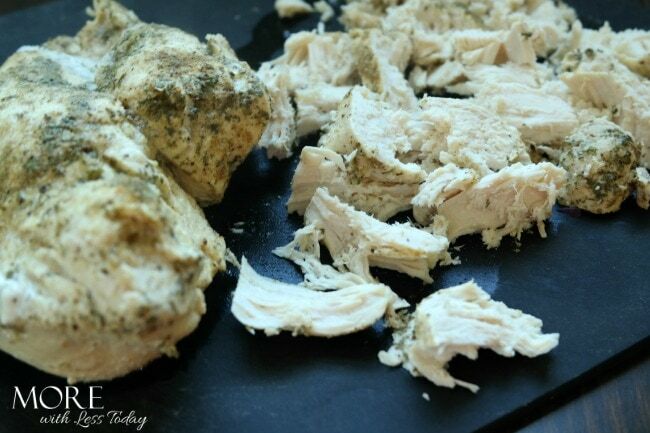 If you’ve never poached chicken breast it is super easy, juicy, flavorful, and fast! 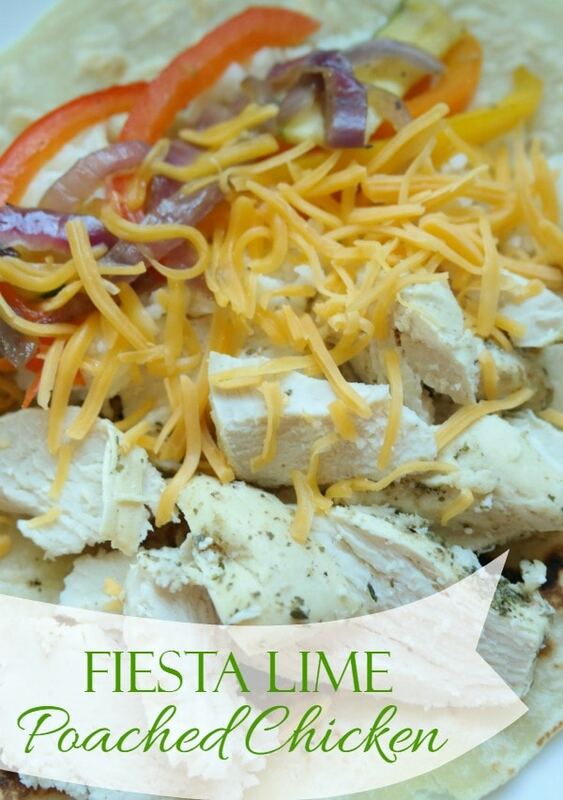 Fiesta Lime Poached Chicken is delicious and great served in tacos, wraps, with rice or pasta, or even as a chicken sandwich. Trim the chicken breast removing all fat. Season both sides of the chicken with the cumin, cilantro, red pepper, salt, and pepper. Place in a deep side pan. 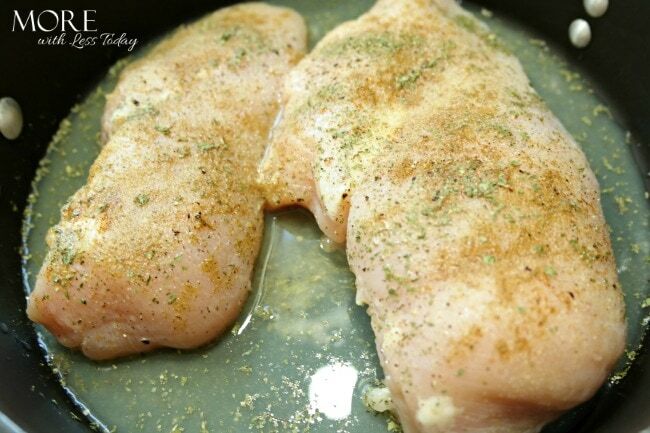 Pour the lime juice over the chicken and add enough water to completely cover the chicken. Bring the liquid and chicken to a boil. Cover with a lid and reduce the heat to a simmer for 5 minutes. Turn the heat completely off and let the chicken sit in the hot liquid for 10-15 minutes. Remove the chicken from the liquid and cut, shred, or serve whole. The chicken is so juicy and completely infused with the flavor. You can use this same method with different liquids like lemon, balsamic vinegar, or a combination of sauces. You’ll love how easy it is to make and how versatile it is to serve!